One of the more popular way to decorate for Fall is with pine cones. I personally love to because they can be placed pretty much anywhere and you can do basically anything with them. 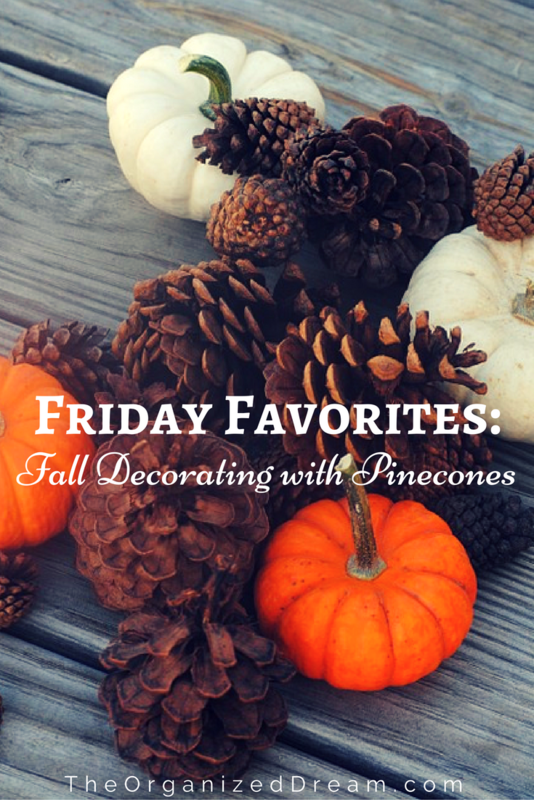 This week's Friday Favorites is all about decorating with pine cones. 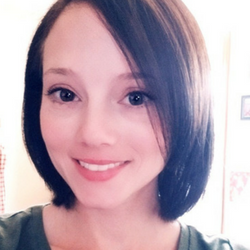 These features are great because they can be transitioned from Fall to Christmas/Winter super easily. 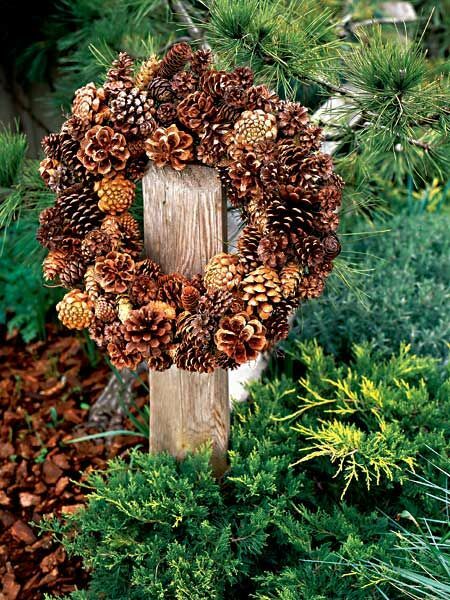 This pine cone wreath can be easy to make with a simple wreath form and floral wire. To transition to Christmas or Winter, simply add a pretty bow. 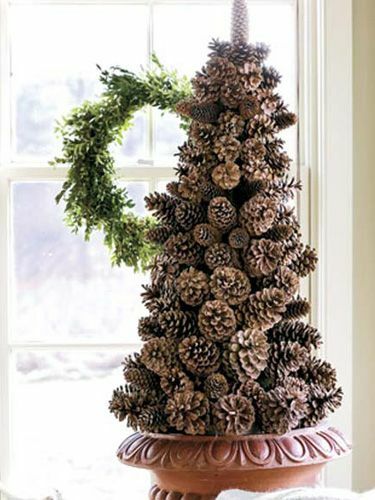 A pine cone tree is a great idea to decorate a front porch or mantel area. They can also be made in a few different sizes to fit almost any space. 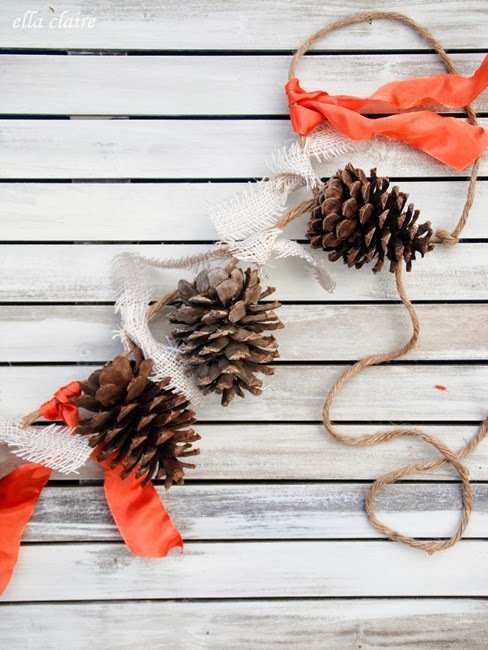 Pine cone garland is so pretty and would really look great anywhere. A great thought would be to decorate for Fall around the house and then use it to decorate a Christmas tree! So inspired! 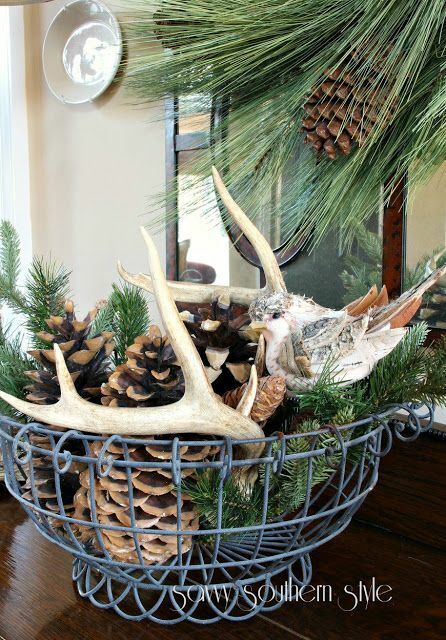 Simply adding pine cones to a bowl is an easy way to add some Fall flair. I love the look of this with the antlers. Add a few Christmas ornaments and you're done for the holidays! Like the tree topiary, this round beauty would look great almost anywhere as well. I like this one a little bit more though. Those pine cones look beautiful. Very creative. 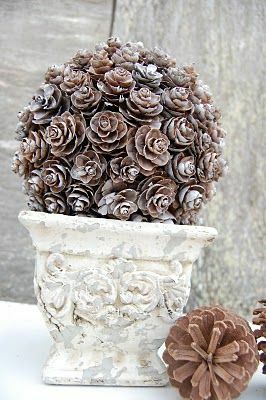 I love pinecones as decorations! That tree is so neat...I am wondering if I can figure out how to make one myself! My guess would either be styrofoam cones for smaller ones or upside-down tomato cages and floral wire. Love all the ideas. Perfect for fall decorating. Thanks for sharing at the InspirationSpotlight party @DearCreatives. Shared. Your decorations are beautiful! I love decorating for fall - I have a similar post at www.trendyandtidy.com, if you wanted to check it out. But I'm loving all of your ideas with pinecones - so clever! 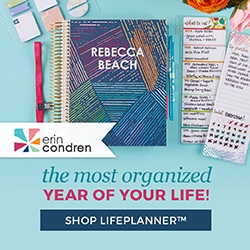 (found your blog from the Thursday Favorite Things Link Party - your thumbnail caught my eye! ).